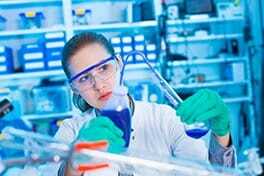 Home » Pharma Blog » What Types of Jobs are there in the Pharmaceutical Industry? Quality Assurance – monitor the processes and procedures of manufacturing to make sure they meet predefined standards. The types of role you’ll be able to apply for, and the salaries associated with them will be influenced by your qualifications and work background. Below you’ll find a list of common backgrounds of people who take our courses. Under each heading is a sample of the sorts of jobs someone from that background might be suitable to do, depending on their level of experience. Click on each link for an article that explains more about what the job involves within the pharmaceutical manufacturing industry and what skills you need to be successful. Each section also includes a link to a more general job description and salaries page that gives a less detailed insight into more jobs – as well as potential salaries. Process Technician – operates equipment, monitors processes and documents results in strict adherence to protocols. They are involved in all stages of the manufacturing process and in the pharmaceutical and medical device industries, their role often occurs within a clean-room environment. Manufacturing Technician – work in a discrete manufacturing environment, run and maintain factory equipment and assembly processes, monitor and check the product quality and document results in strict adherence to protocols. Packaging Operator – responsible for taking the finished product of a manufacturing process and ensuring that it is packaged in line with company and industry standards, making it ready for sale or distribution. Production Supervisor – directly responsible for overseeing and organizing the equipment, staff, and processes on a production floor. They will oversee scheduling and routine production activities as well as acting as first-line troubleshooting should problems arise. Click here for Manufacturing/Production Salaries and Job Descriptions. If you have experience in manufacturing, take our Certificate in eBioPharmaChem to switch to a career in pharmaceutical manufacturing. Biochemist – scientific professionals who study and explore the chemical processes with biological organisms. 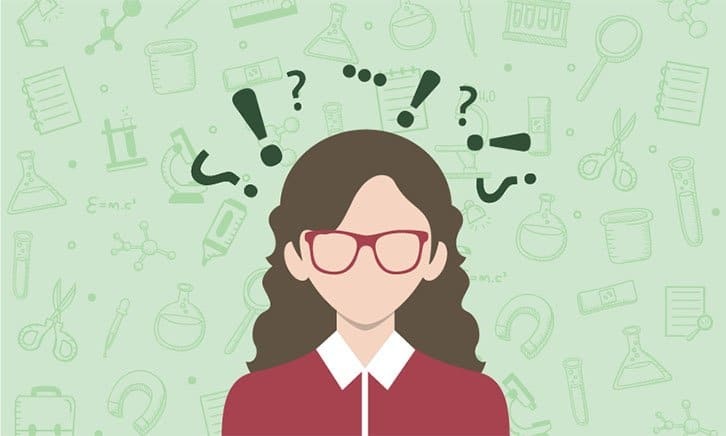 Within the pharmaceutical industry, biochemists are employed within research and development departments as well as within quality teams in manufacturing departments. Laboratory Technician – assist industry scientists in their research and testing. This can involve a number of different tasks and these tasks can vary greatly between roles. Within the pharmaceutical industry, laboratory technicians can be employed in research and development or in production and manufacturing. As a result, the work can be based in a laboratory or on a production line, depending on the specific responsibilities of the role. Microbiologist – a scientific professional who studies microorganisms. They play a key role in pharmaceutical or medical device manufacturing by testing to monitor levels of microbial contamination at all stages of the manufacturing process. Click here for salary information for science roles. If you have experience in laboratory science, take our Certificate in eBioPharmaChem to switch to a career in pharmaceutical manufacturing. Documentation Specialist – the individual responsible for the writing, distribution, collection, storage, and maintenance of a company’s documentation. In highly regulated industries, these activities are a requirement for regulatory compliance. Quality Assurance Associate – monitors and records results from processes and procedures within manufacturing industries. Results are continually compared to predetermined expected ranges and any deviation from expected results leads to corrective measures. Quality Control Associate – tests the product of a manufacturing process to ensure that it meets predefined criteria. The completion of this quality check ensures that the final product is safe to release for sale or distribution. Quality Engineer – works within the quality team to ensure the overall quality of a manufactured product and are tasked with creating documentation, devising quality tests and defining the criteria a test result should meet. They play a key role in fixing issues when they arise. Click here for salary information for quality roles. for salary information for quality roles. If you have experience in quality, take our Certificate in eBioPharmaChem to switch to a career in pharmaceutical manufacturing. Instrumentation Engineer – provision of computer programming and instrumentation support as well as designing and developing specialised instrumentation and equipment as required. Manufacturing Engineer – responsible for development, design, implementation, and monitoring of equipment, tools, and machinery used in the manufacturing process. Their primary goal is to create the stages of a manufacturing system that ultimately produces a product in the most time-efficient and cost-effective way possible, while always maintaining staff safety and product quality. Process Engineer – responsible for designing, implementing, controlling and optimizing industrial processes, especially continuous ones within the chemical, petrochemical, agriculture, mineral processing, advanced material, food, pharmaceutical, and biotechnological industries. Project Engineer – manages technical or engineering projects. They work with stakeholders at all levels, with direct responsibility for budgeting, personnel and project planning. Click here for Pharmaceutical Engineering Salary & Job Descriptions. With an engineering background, take our Certificate in eBioPharmaChem to switch to a career in pharmaceutical manufacturing. Calibration Technician – responsible for the routine inspection, testing, maintenance and repair of instruments and manufacturing equipment. The purpose of the calibration technician role is to ensure the accuracy of the measurements taken using this equipment. Facilities Engineer – can have an extremely broad remit covering the infrastructure of the building, depending on the needs of the company. Areas of direct responsibility might include environmental, health and safety issues, electrical engineering or HVAC (heating, ventilation and air conditioning). Maintenance Technician – tasked with routine maintenance of manufacturing equipment as well as helping to troubleshoot when issues arise. Due to the regulation of the pharmaceutical and medical device industries, they are required to keep detailed and accurate documentation of their work. Click here for more details on Maintenance Salaries and Job Descriptions. With a maintenance background, take our Certificate in eBioPharmaChem to switch to a career in pharmaceutical manufacturing. Validation Engineer – responsible for planning, implementing and monitoring the validation strategy in highly regulated industries such as pharmaceutical or medical device manufacturing. They measure and analyze the process, audit and calibrate equipment and create a document trail that shows the process leads to a consistent result to ensure the highest quality products are produced. Validation Technician – works as part of the Validation team to measure and analyze the manufacturing process, audit and calibrate equipment and create a document trail that shows the process leads to a consistent result. This ensures that the product is consistently of the highest quality. Validation Team Member – This role is more focused on working on capital projects, equipment focused, higher salary than Validation Technicians as there would be a lot of overtime associated with the role. You would also need to move to where the job located and you could be working away from home. Click here for salary information for validation roles. Automation Engineer – utilizes technology to improve, streamline and automate a manufacturing process. They are responsible for planning, implementation, and monitoring of such technology. CSV Specialist – plan, write, implement and review the Computer Systems Validation protocols in place within highly regulated manufacturing industries. Their work is essential to make sure that all computer-based systems are operating as intended (with documents to prove it) to meet regulatory requirements. Click here for salary information for IT/automation roles. No Industry Experience In These Areas? FIRST you’ll need to take our Foundation Course to fill in your knowledge and qualification gaps and meet this program’s minimum academic requirements. Click here for salary information for entry-level roles. Many thanks for reaching out. I’m afraid this is not something we could help you with as we focus on retraining our upskilling people for pharmaceutical or medical device manufacturing.